I really do love art. All types of it. Sure, I’m obviously more drawn to certain forms of it than others but I appreciate all art for what it does and what it means to the people both creating and observing it. No matter what particular medium it is coming from, when a certain form of art can strike up a real emotion from a person means it has done its job. This most often (obviously excluding visual art) comes from writing. Books, movies, music, poetry and yes, even video games are all areas where writing can truly affect someone and has continued to do so over centuries. Video games are the most recent form of storytelling that has grown in both complexity and overall creativity. It’s the same with games’ storytelling as it is with movies, books and, to certain degree, music: there is a wealth of crap overshadowing the snippets of genius scattered throughout our society. But every once in a while one of the truly great ones will step over the cracks and make it big. It is complete and utter justice that The Last of Us has found such success. It is the first game since 2005’s God of War(and shortly prior: Resident Evil 4) that has instantly made it one of my favorite games of all time. No other game I’ve played has left such a lasting impact. The writing in The Last of Us is not only one of the best in video game history, but in storytelling history. Combine that with tight, fluid and satisfying gameplay and you have one of the most fulfilling and—dare I say it—perfect gaming experiences ever conceived. Among the millions of other reviews of this game that there are, you’re going to find a whole lot of the same; there is very little negativity anyone can say about it. I’m no different. Throughout my time with The Last of Us, for a while I was actually trying to find something I didn’t like about it. I found one thing. When making a quick 180 turn, Joel (that’s you) makes a small gasp every other time the action is performed. I found this to be a bit annoying considering how often I spam the quick 180 turn in any game it’s featured in. That is the absolute height of complaints I have about this game. I want to talk about what’s most important about this game as early as possible. Without question that is, in fact, the story. It’s great when a movie leaves you with an ambiguous ending that can stir up some questions. Or maybe when the entire film is full of bitter sadness and leaves the viewer with some hope at the end. Or even one that is complete despair from beginning to end and ruthlessly destroys the viewer emotionally by the time the credits roll. I’m almost certain no one will agree with me but when an ending of a story leaves me with a pit in my stomach, I feel that is a great story. 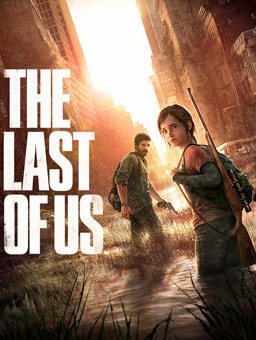 The Last of Us is a bleak and joyless tale of a man and a young girl trying to survive 20 years after the world has succumbed to a deadly infection. It sounds played out and typical of post-apocalyptic scenarios but I assure you that the approach that is displayed here is anything but typical. The Last of Us is a story about its characters rather than its world. And though post-apocalyptic settings are beyond overused as of late, the actual events that take place are anything but. So many events that take place within this game will stay with you long after you complete it. It took me over 2 weeks to play this game again after I had completed it the first time. The thought provoking ending left me speechless and hopelessly conflicted to the point where I needed time before I was able to look at any of the characters again. As if the story wasn’t enough, The Last of Us is one of the most fine tuned and overall fun action/adventure experiences I’ve ever had. Every time I hit someone over the head with a pipe or landed a head shot on the first draw brought out the giddy gamer in me. You feel every action that you perform in shocking detail. Fortunately (or ‘unfortunately’ if you’re a little Nancy boy) those actions are horrifically brutal. The violence in The Last of Us is not unparalleled by any means, but it is one of the few games where its excessive violence feels very real. You will spend most of your time scavenging throughout the lengthy adventure. It may sound tedious on paper but the execution is of Zelda proportions. As supplies are very limited you will need to collect various items to build sub-weapons, upgrade your larger weapons and build health items. Luckily, looking through every nook and cranny for supplies is visually amazing, as well. No other video game world is more immersive than the intricate one Naughty Dog has created with this title. Among the beautiful locations there are loads of in-game dialogues subtle enough to stay intriguing yet entertaining enough to keep the overall experience of the game unhindered. I found myself looking forward to every conversation just as much as every new location. The soundtrack is fitting, the voice acting is flawless and the graphics are damn near perfect. Every subtle movement and facial expression is captured. Never before this game have I been able to read body language from a video game’s character model. That, in and of itself, is a remarkable achievement. The enemy and partner AI is undeniably competent. I’ve read several complaints that the fact that enemies cannot spot your partners breaks the game’s immersion. Though that is true, it’s a small price to pay for making the game as fun and accessible as it is. The Last of Us is likely to be the only 10 I award to a video game for a very long time. It is not a game for the faint of heart yet it should still be experienced by so many. It seems almost futile to further explain why this game is great. You need to experience it for yourself to get the full effect. Why Naughty Dog is so good at making video games I have no idea. They’re probably doping.